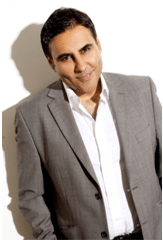 Exclusive only to Solihull Medical Cosmetic Clinic – carried out by Dr. Sagoo. “The VS 3D- Full Face Lift is the result of combining my years of experience as a cosmetic doctor with the latest cosmetic technology to offer a complete package of facial contouring without major surgery” Dr. Sagoo. Some people do not want to have multiple treatments over several sessions to address their facial concerns and less want to have invasive surgery under the knife. Incorporating the techniques of facial and neck liposuction and skin tightening with restoring volume loss in the face which leads to deep folds and sunken cheeks and the benefits of CO2 laser skin resurfacing, Dr. Sagoo has developed the exclusive “VS 3D Full Face Lift” package to address the all aspects of improving facial contour, texture volume and skin laxity. Injectable filler, which may restore volume loss in mid to lower face cheeks and nose to mouth lines. Muscle relaxing injections to upper face, which may offer frown and eyebrow wrinkle improvement. For many patients, the result is a totally natural looking face lift in 2 sessions, with no need for invasive surgery or the visible scarring or the pain and discomfort that goes along with it. You may look naturally fresher and rejuvenated. There is a down time of a few days to recover; however, the longer term results may be a natural looking improved enhancement. There may be a considerable volume restoration, improvement in skin texture as well as skin tightening and facial contouring. Lines and wrinkles may be improved, with sun damage pigmentation often improved dramatically. The neck and jaw line may be improved, giving a more youthful overall appearance. The overall effects often look natural, without any surgical knife. The VS 3D full face lift is a natural alternative to the surgical face lift with less down time and no knife! The liposuction and neck, face tightening recovery time is about three days. The laser resurfacing recovery is about five days down time, and there may be some redness and swelling during the healing process. The fillers can cause minimal bruising and swelling, which can usually be concealed with make up. By incorporating all four treatments over two sessions, Dr. Sagoo can offer the “Full VS 3D- Face Lift” which is exclusive only to Solihull Medical Cosmetic Clinic. As one of the first doctors in the Midlands to offer BodyTite Dr. Sagoo has treated many clients with impressive results. 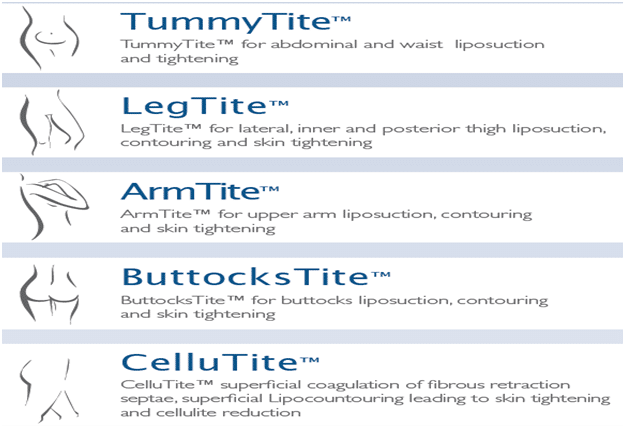 Constantly updating and refining using the latest techniques and now offering Neck Tite, Face Tite, CelluTite and ArmTite, Dr. Sagoo can now offer a complete set of body and face contouring treatments to help address loose skin and fat changes which can affect our confidence.